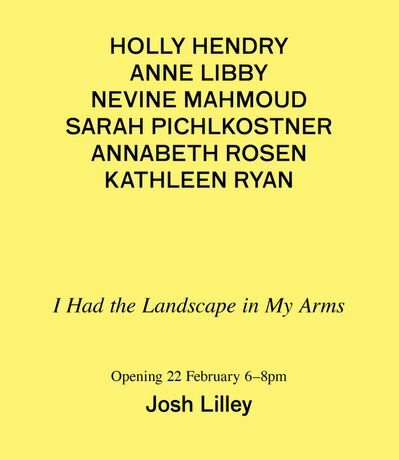 Josh Lilley is pleased to present I Had the Landscape in My Arms, a group exhibition of new international sculpture. The title of this show is abbreviated from Helen Frankenthaler: “I had the landscape in my arms as I painted it. I had the landscape in my mind and shoulder and wrist.” Formally and conceptually, the six artists in this exhibition employ aesthetics of compression, framing and encapsulation — of having the landscape in one’s arms, and squeezing it into form. Sculpture as paté, aspic, bundle, or jigsaw. A careful containment; some gentle pressure. The six sculptors in this exhibition share an overlapping geography between California, New York, London and Vienna, and a common toolbox of media including clay, found objects, metamorphic rock and materials from the hardware store. 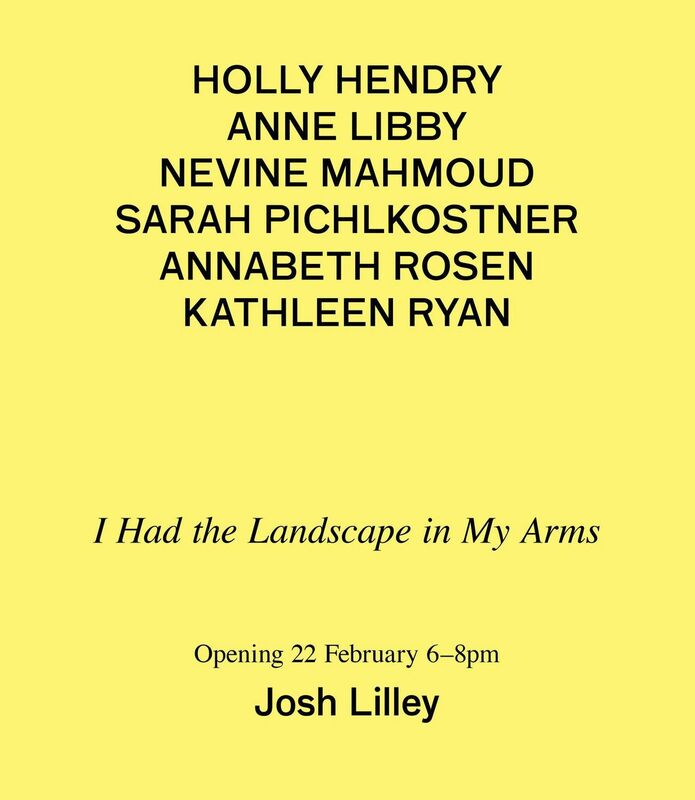 “I Had the Landscape in My Arms” is not a proposition about a single recent school or movement — all the work is individualistic and strongly voiced, with its own particular concerns — but it is explicitly an exhibition about a certain weight of contemporary sculptural gesture, and sculpture as a natural means of understanding, organising and representing the landscape of today.